I’m delighted to announce the release of a new plugin – List Latest Tagged Posts. 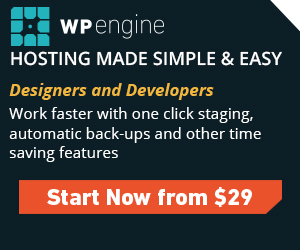 This plugin is remarkably simple that allows you to list the latest posts tagged with a certain tag in a shortcode, which you can add to any post, page or custom post type that allows shortcodes. This is the first release, so I’m keen to just look for feedback, as it scratched an itch that I had – I wanted to list recent posts on my WordPress Plugin pages, so rather than cobble something together, I spent a bit more time to do it properly and release it as a plugin. I’m not entirely sure what way to go with the plugin, as it’s simple rather than anything complex, but hopefully somebody finds it useful. To download version 1.0, please click the button below. Finally, the project is on Github. You can find it on Github here. You can see the current issues (and a possible roadmap) here. The issues and roadmap are currently empty, largely because I’m not sure what I’ll do with this plugin, but hopefully people find it useful! Rhys Wynne is the senior editor at Winwar Media's blog, with over 8 years experience in blogging, and enjoys creating WordPress plugins. You can follow Rhys on Twitter. Hello! Dwi'n Rhys - Want to Work with Me? You can hire me through my freelance company - Dwi'n Rhys. I'm currently available! Get fresh content to your inbox at least once a month, for free! Occasionally I review WordPress Plugins on the side. Here is a list of the latest 3 WordPress plugins reviewed on the site, as well as the star rating for the plugin as well. If you wish to get your plugin reviewed, please contact me. Read more WordPress Plugin reviews. You can see for yourself how eyes are drawn to the buttons. Imagine what it can do to your business? So have £5 off for the first year with code ITGOTME. eBay Feeds for WordPress Premium 2.4 Released! Can you Have Multiple Templates For A Custom Post Type? Earn up to 30% Per Sale with every sale of WP Taxi Me and Inline Tweet Sharer by joining the Winwar Media Affiliate Programme for free.